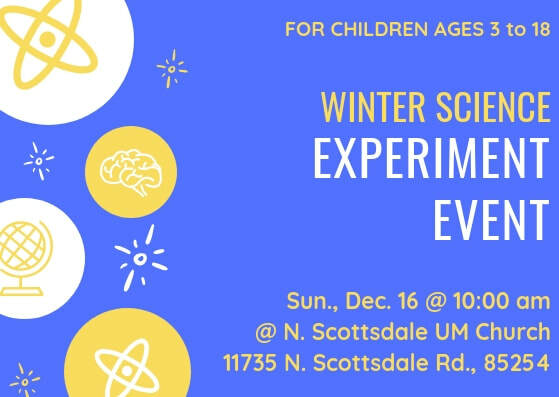 North Scottsdale United Methodist Church is offering Winter Science EXPERIMENT EVENT in our fellowship hall at 10am on Sunday, Dec. 16th while our adults are in the sanctuary enjoying the CANTATA. We will not have children’s moments or our regular Sunday School that day, instead all children ages 3-18 are asked to join us in the fellowship hall (the large room just east of the sanctuary where the coffee and snacks are located). Please send your children over (or walk them if that is more comfortable for you). Two year olds may visit the nursery. 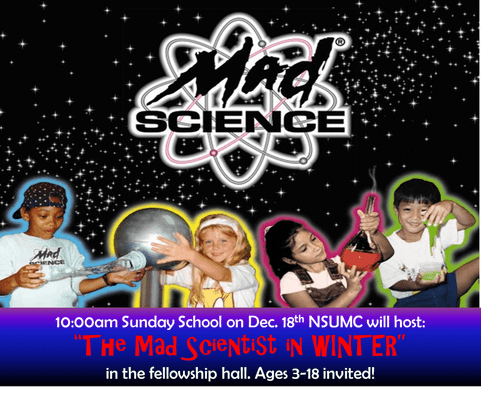 We are hosting a Mad Science Winter Experiment Event. The Cantata is best suited for children ages 12 and up. You know your child and what works best for them. They are welcome at either experience. Christmas blessings to your family! 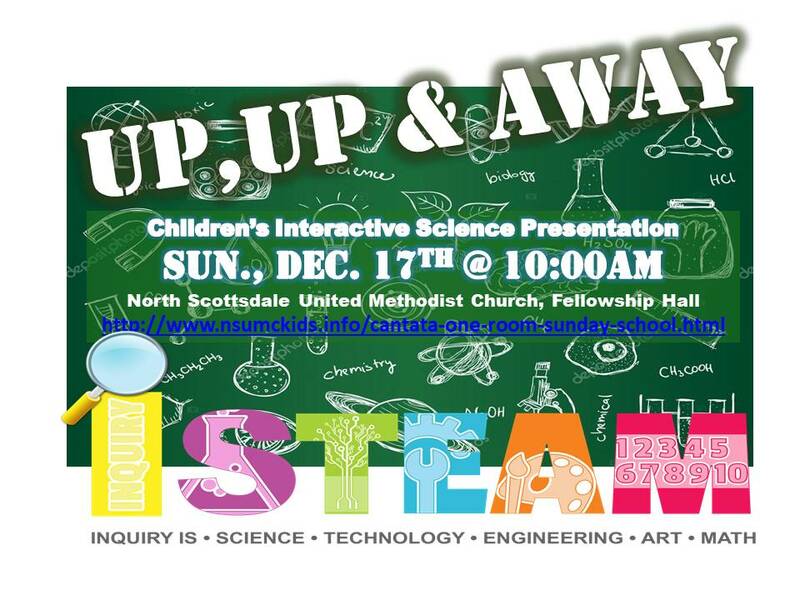 This year's Winter Science show was Up, Up and Away! – This spellbinding STEM (science, technology, engineering and math) special event introduced the children to the principles of air and pressure. Hot air balloons, vortex generators and even a leaf blower helped children understand the power of air. The presentation ended with a take-home instant snow activity for each child. Thank you to Mad Science for a very fun and educational Winter Science experience!